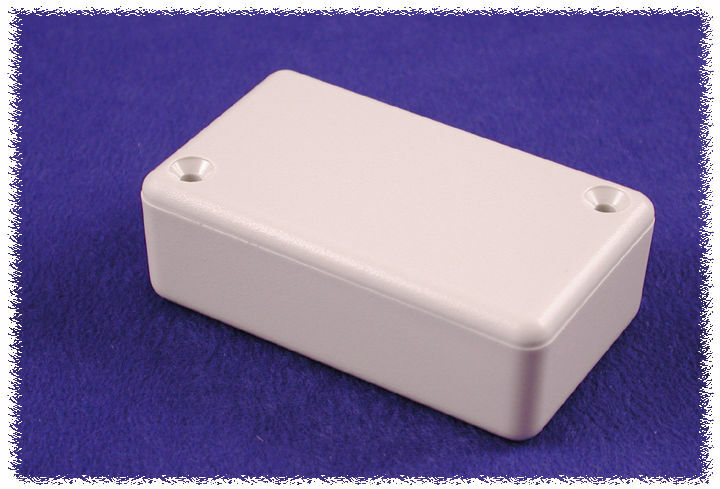 Ideally suited for mounting small printed circuit boards or used as potting boxes. 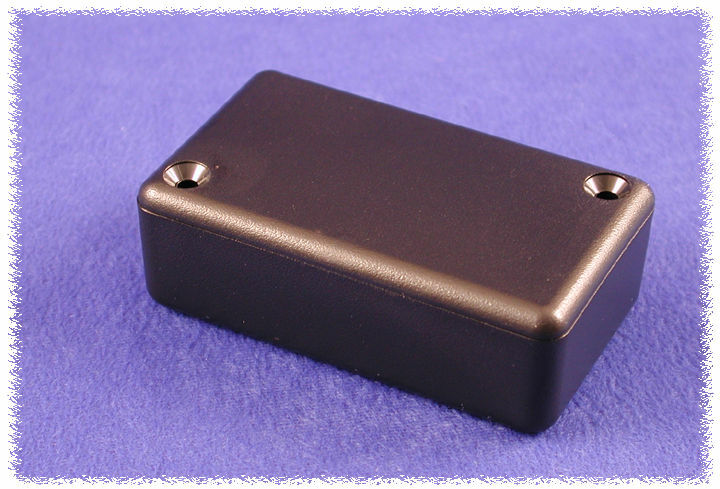 Molded in a choice of black or grey - general purpose ABS plastic. Complete with lid and two self tapping screws. This series is also available with flanged lids. 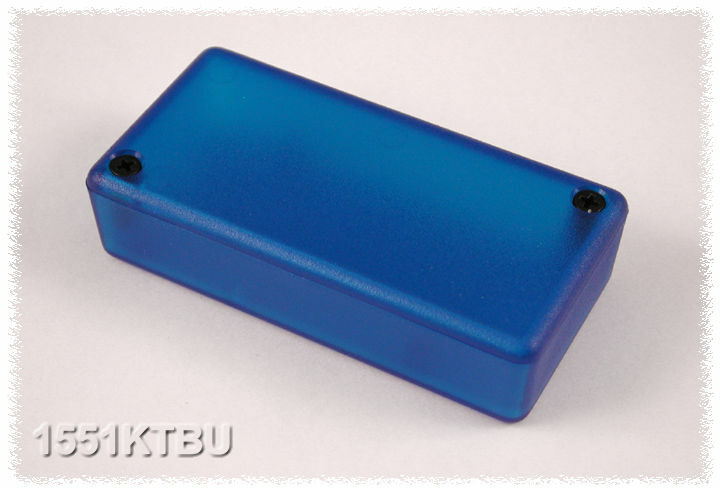 Screws are color matched to enclosure (nickel plated screws with grey enclosures and black plated with black enclosures). 2 P.C. board standoffs molded into interior. Three sizes (see tables below) are available with a key ring kit. Models with key ring kit are predrilled in the narrow side. Lid is apx. 0.12" (3 mm) deep. To secure P.C. 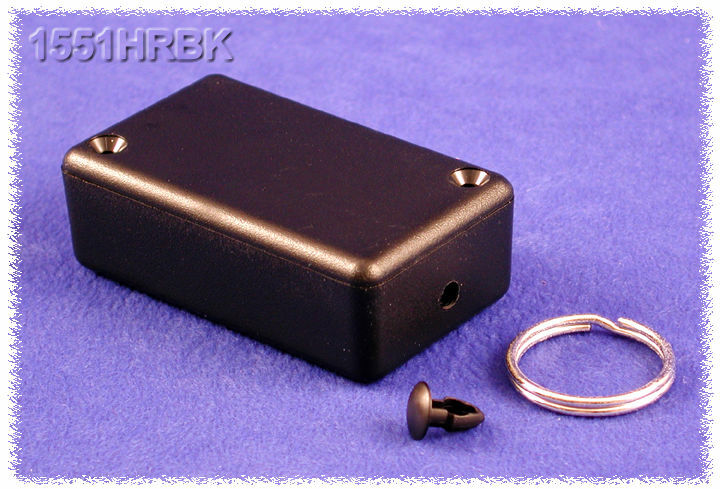 board use self tapping #2 x 3/16" screws (Qty 100 - Part number 1551ATS100) - not included with enclosure.